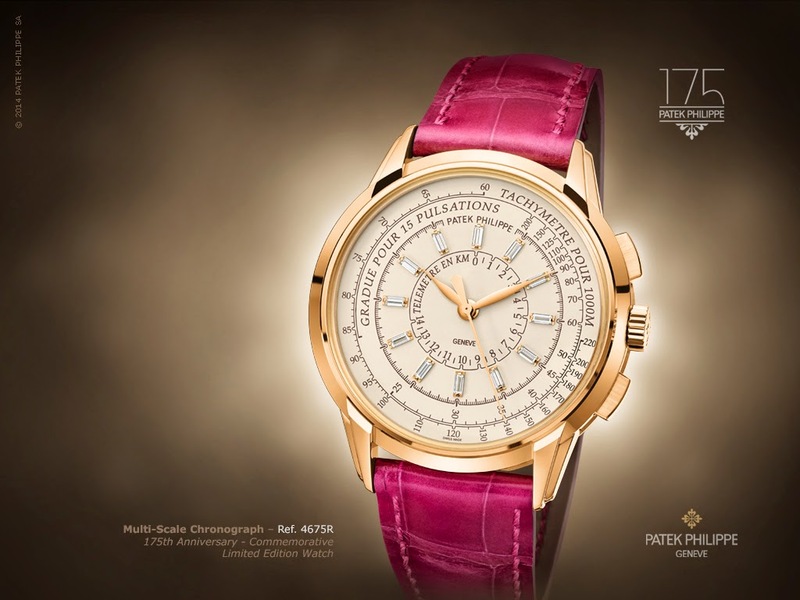 Last year, Patek Philippe celebrated their 175th anniversary. There are not much watchmaking companies or any other company, that are able to manage in achieving to stay in the business and be successful at the same time for these period of time. It is an amazing accomplishment, that even after all these time Patek Philippe keeps on remaining to their reputation as one of the most exquisite and luxurious watch manufacturer world wide. 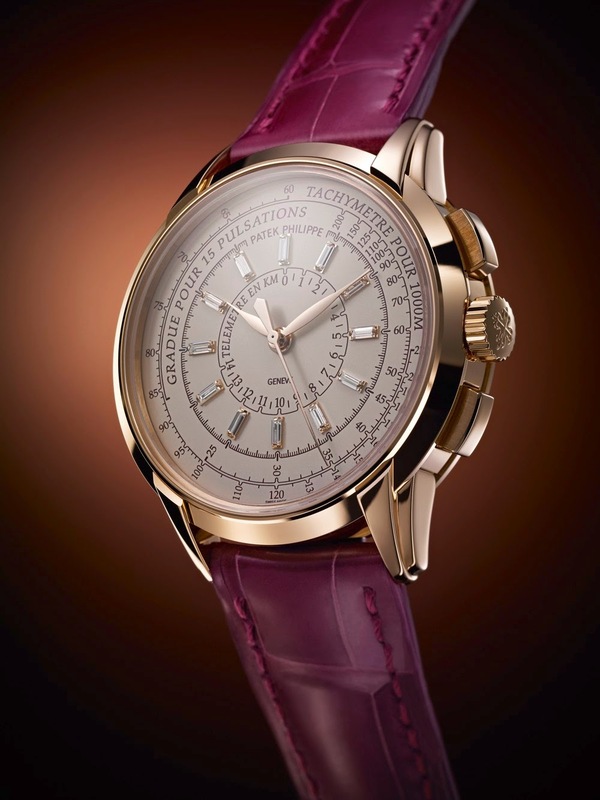 We already introduced you the Patek Philippe Masterpiece: The Grandmaster Chime Ref. 5175. A true Masterpiece that is also part of one of 175th Anniversary Commemorative Limited Watch Edition. One of their beautiful creations besides the Patek Philippe Masterpiece is the Patek Philippe Multi Scale Chronograph Ref. 4675R. 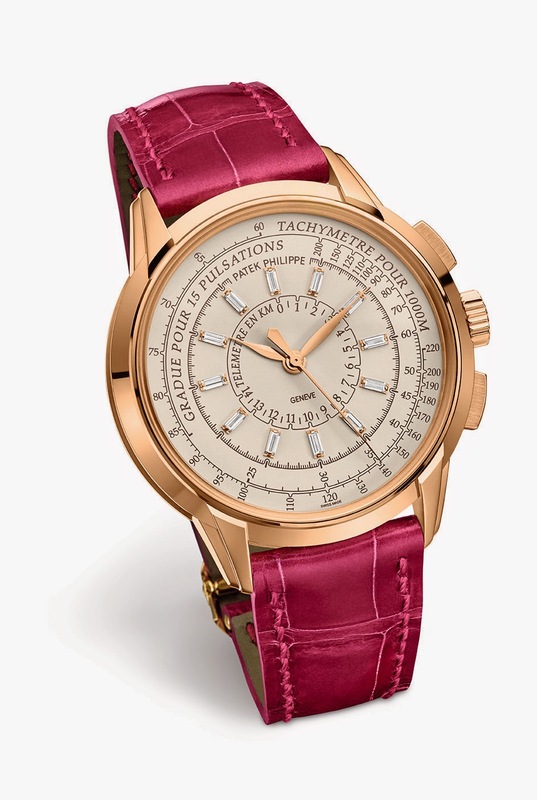 The Patek Philippe Multi Scale Chronograph Ref. 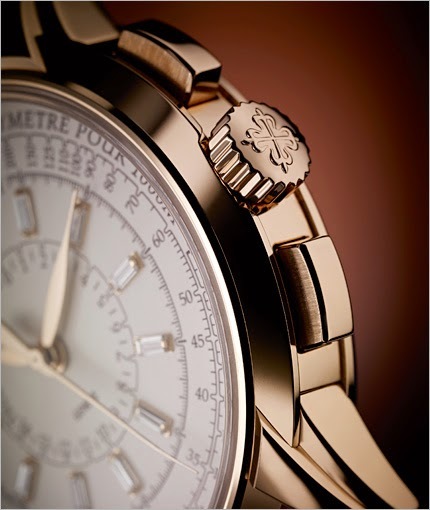 4675R is a ladies watch and is one of the Commemorative timepieces among others. It is a Limited Edition of 150 timepieces. The Patek Philippe Multi Scale Chronograph has a classic look, with modern features that make this timepiece to be floating into a new and modern dimension. This elegant and technical watch is definitely for the ladies who are confident, daring and love challenges in their life. Ladies, who love to wear a timepiece that is bigger and robuster. One, that features more functions than just a regular ladies watch. 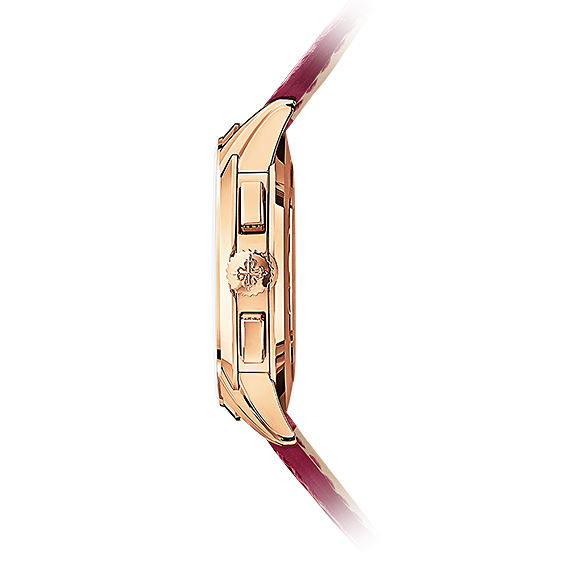 The Patek Philippe Ladies watch Ref. 4675R features a Multi Scale Chronograph with a Tachymeter, for ladies, who want to keep track of time, distance and land scale. The watch has a Telemeter for the ones, who are curious and want to measure the distance between light and sound sources, by opposing speed of sound against the speed of light. The Patek Philippe Multi Scale Chronograph Ref. 4675R has an 18 kt Rose/Pink Gold case and a silvery Opaline dial with grey brownish printed scales. The hours markers are featured by 12 Baguette shaped Diamonds, in total of 0,23 carats. 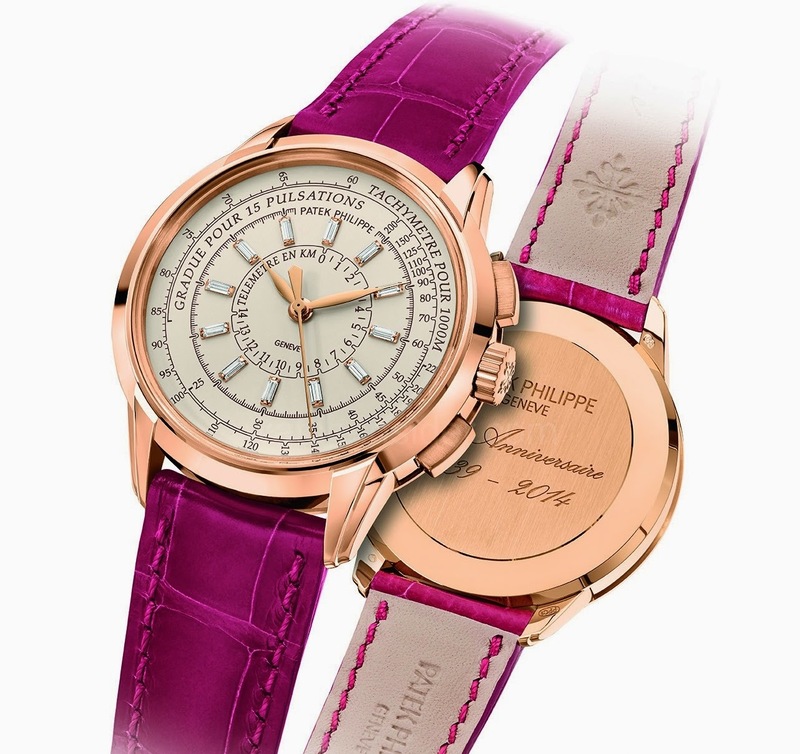 The elegant Patek Philippe timepiece has a hand-stitched alligator clasp strap with the engravement "Patek Philippe 1839 -2014" on one side and a Calatrava Cross on the other side. 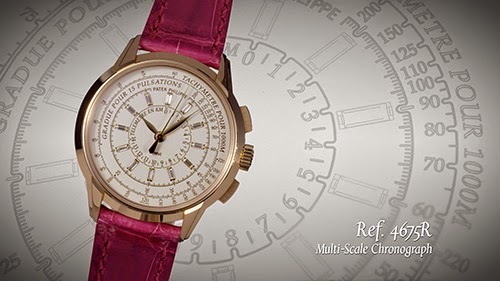 The back of the Rose/Pink Gold case of the Patek Philippe Multi Scale Chronograph is engraved with "PATEK PHILIPPE" - "GENEVE" - "175e Anniversaire" - "1839 - 2014". Besides having all the above mentioned features the Patek Philippe Ladies Multi Scale Chronograph Ref. 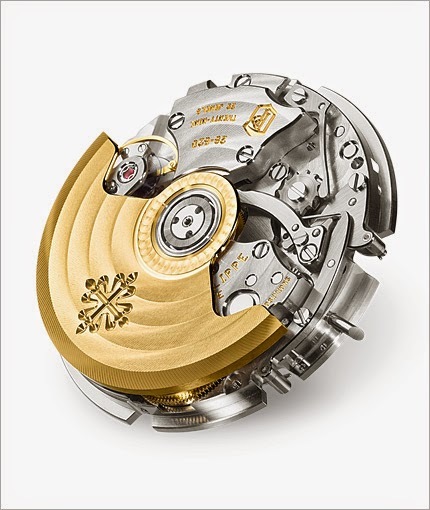 4675R is also equipped with a Gyromax balance and a Spiromax balance spring. This luxurious ladies Chronograph with its mechanical self winding movement is water resistant to 30 meter. Not to mentioned the Calatrava Cross on the (re)set button, that stand as a symbol for Patek Philippe. The Patek Philippe Multi Scale Chronograph Ref. 4675R is an elegant full equipped ladies watch with a classic look. The case measurements of 37 mm diameter and a height of 10.1 mm definitely give this time piece of a touch of coolness as well. 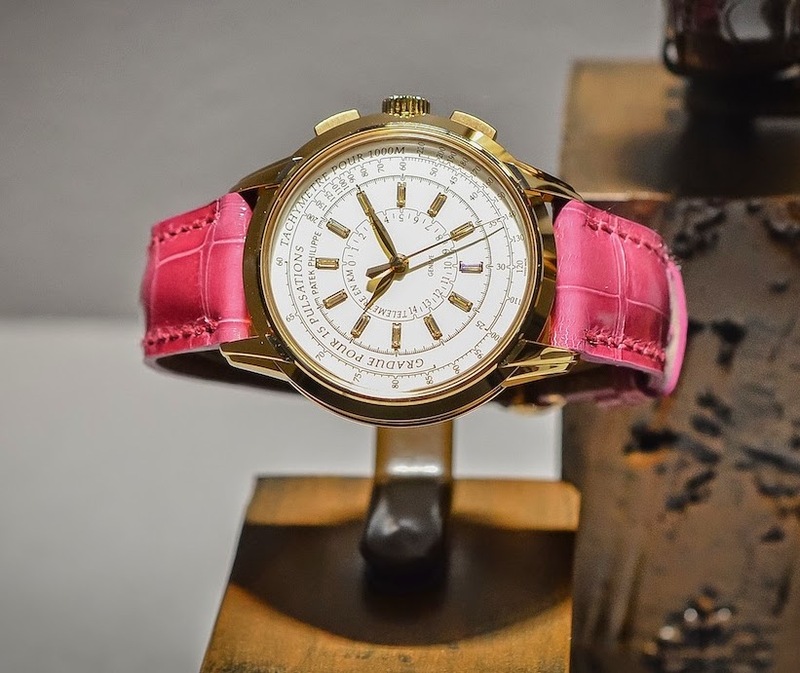 This exquisite Patek Philippe Multi Scale Chronograph is perfect for women who want more than just the regular chronograph watches that are available in stores. The Patek Philippe Multi Scale Chronographs will give women the Sense of Luxury by making them proud to be able to wear these piece of fine artwork. With all the technical and mechanical aspects equipped in this Patek Philippe time piece, is no wonder that this cool, elegant, trendy and luxurious Patek Philippe Multi Scale Chronograph Ref. 4675R will come to an estimated price of $50,000.